TCM offers an appropriate day-long tribute Thursday to a versatile actor known for characters who could break necks and break your heart. Ernest Borgnine is the subject of a 24-hour movie marathon on TCM Thursday. 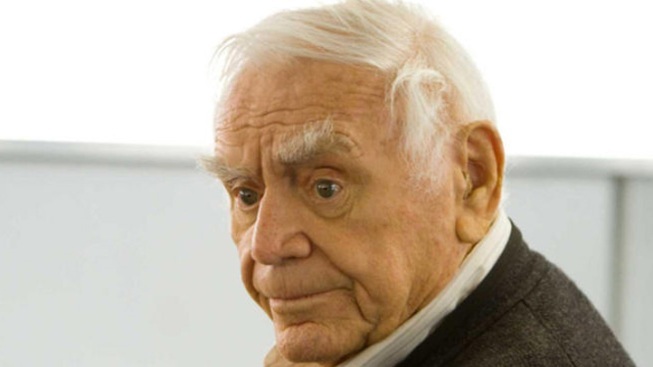 To some, depending on age, Ernest Borgnine was just name. Or a voice (the befuddled, gravelly gilled Mermaidman on "SpongeBob SquarePants"). Or a somewhat familiar craggy, bushy eye-browed face (from "Airwolf" or "The Single Guy"). But Borgnine, who died earlier this month at 95, was an actor for the ages. For the uninitiated and longtime fans alike, TCM on Thursday offers a timely 24-hour tribute to a versatile actor known for characters who could break necks (Fatso Judson in "From Here to Eternity") and break your heart (the title character in "Marty"). Borgnine, stocky with a grizzled mug that looked long lived in even when he was a young man, would never be called an All-American, not in the conventional looks nor in the Mickey Rooney let’s-put-on-a-show spirit departments. But in some respects, he was the most American of movie stars – a character actor with character, one who could ooze brutality or vulnerability as needed. He played the tough military man who helped assemble "The Dirty Dozen." His bitter, combative cop ultimately shined as a leader when all else was dark in the original version of "The Poseidon Adventure." He could make you laugh as the scheming sailor in TV’s “McHale’s Navy.” He inspired hatred as Judson for killing Frank Sinatra's character in "From Here to Eternity." And Borgnine portrayed a boss so nasty you were relieved to see him gnawed to death by a band of rats in the creepy classic "Willard" (just about the only major Borgine performance not included in TCM's otherwise stellar movie marathon). But Borgnine was at his best, evoking sympathy, sadness, and, ultimately, love, for his Oscar-winning turn as Marty Piletti, a lonely, thirtysomething Bronx butcher whose domineering mother and own lack of self-esteem (“I’m just a fat little man – a fat, ugly man.”) threaten to torpedo his only shot at happiness. It's a master class in emotional implosion and explosion, told through the words of the great writer Paddy Chayefsky and the endlessly expressive voice and face of Borgnine. "Marty" is well worth another look – or a first look – as are "From Here to Eternity," "Bad Day at Black Rock," “The Wild Bunch” and other Borgnine flicks airing on TCM beginning 6 a.m. Thursday. Also on the bill is “Private Screenings: Ernest Borgnine,” a 2009 interview with Borgnine, conducted by Robert Osborne.